The Rose (Rosa) has been one of the most cherished, admired and widely cultivated flowers, it has a special place in most people hearts and is the worlds favourite flower with billions sold around the globe annually. Archaeologists are said to have found fossilised roses that are over 30 million years old. It is claimed that Cleopatra wooed Mark Antony with rose oil and rose petals, today's lovers know the seductive power of Roses. The best commercial Roses are those that are grown in sunny hot climates at altitude, translating to hot long days and colder nights that are essential for Roses to produce at their maximum. Australian Native Flowers are a great looking long lasting often beautifully scented flowers to have delivered to someone in Perth. With over 25,000 species of flowering plants, Australia is only matched by South Africa in the abundance and diversity of its native flowers. There are so many flowering plants in Australia that they haven’t even named them all yet – some botanists estimate there are over 30,000 species. Many of these are endemic, which means they are found nowhere else. Native flowers have been used to decorate Australian homes since settlement, but became more popular during Federation (1901) and the Bicentennial celebrations (1988). Now many forms are used as cut flowers, both locally and internationally. All states throughout Australia are home to distinctive native flowers, but Western Australia is the centre for this amazing diversity. There are over 12,000 species listed as endemic to WA, and many more are yet to be described. 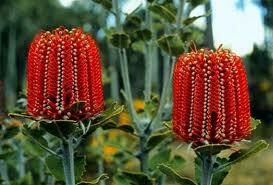 Many of the native flower species commonly used as cut flowers originated in WA, such as kangaroo paw, most Banksias, Dryandra, Geleznowia, and Geraldton waxflower. The wildflower season in WA occurs each year from July to October, and is considered one of the top botanical wonders of the world. Flowers start blooming north of Geraldton in July and slowly progress south. There are many reserves and bush areas along the coast and east into the drier areas, and in some places there are fields of everlastings and other wildflowers as far as you can see. The Wildflower Society of Western Australia website is full of information and has a great map of viewing locations around Perth for those who are interested. Some South African flowers are often mistaken for Australian natives, which is not surprising as these two countries have very similar climates and the flowers of each country are similar in structure. Proteas, Leucadendron, Leucospermum and Erica are all South African natives that are sometimes mistaken for Australian locals. The tea-tree (Leptospermum) is also often thought of as Australian, which many garden tea-tree varieties are. But the most common cut flower tea-trees are bred from Leptospermum scoparium, which is a New Zealand species. Most native flowers have woody stems and these will need to be re-cut with sharp secateurs, and immediately placed in water. Never bash or split the woody stem ends. As a general rule, keep cool whenever possible – there are no tropical Australian natives used regularly as cut flowers. Strip all the leaves from the lower half of each stem, then re cut at least 2 cm off each stem and place in cold water immediately. A preservative is recommended, but not essential. 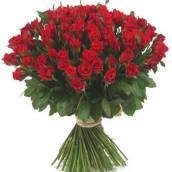 It is important to replace vase water with fresh preservative every day as all natives are thirsty flowers. Most native flowers are not sensitive to ethylene gas, but there are two notable exceptions. Waxflower and Waratah are both sensitive, so keep them away from fruit, car exhausts and cigarette smoke. 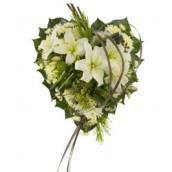 Looking to send Funeral Flowers Perth? 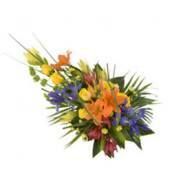 Sympathy Flowers Perth? Dial A Hamper & Gift Baskets is the Perth Funeral Florist that everyone knows, uses and trusts. We have a large range of Funeral Flowers, Funeral Wreaths, Funeral Sprays, Casket Sprays for all budgets and in all styles to suit your tastes that we deliver daily to all Perth Funeral Directors and Perth Cemetaries. The death of a loved one, colleague, or friend is often a really difficult time for most people. 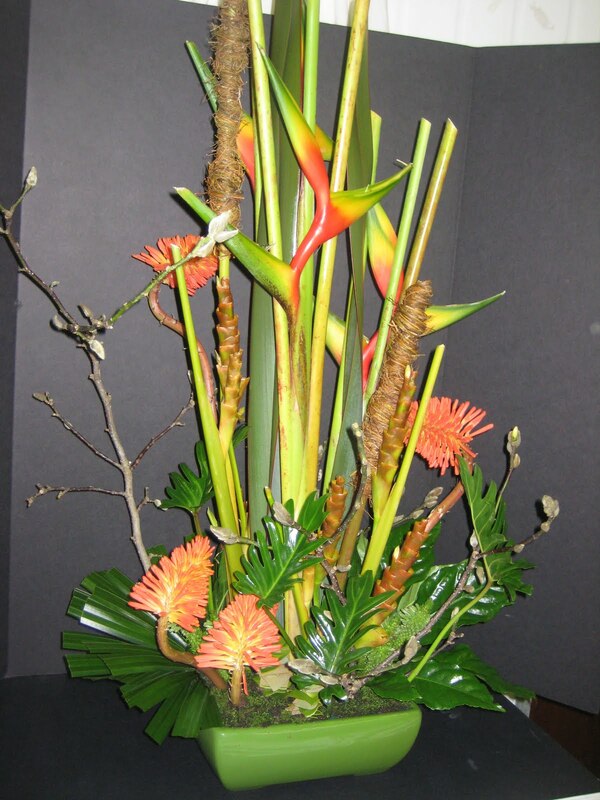 That's why its important to use a Perth Florist that is experienced in funeral flowers. Dial A Hamper and St Anne's Florist has been trading for over 40 years in Perth, Completing thousands of Perth Funeral Flowers in this time. 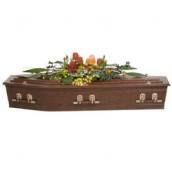 You can order your Funerals Flowers Perth and Sympathy Flowers Perth from the Perth Funeral Florist everyone knows and trusts Online at http://www.dialahamper.com.au/, visit us in the Perth Florist Shop at 111 Newcastle Street, Perth Western Australia 6000 or call us on 08 9381 9191. If you are in a commission based role, Corporate Gift Baskets , Hampers and Gift Hampers are a great way to say thanks to your clients for their support and custom. Even if your not in a commission based role, its still a great idea to show your customers your appreciation. Dial A Hamper & Gift Baskets supplies many of the Perth's top Real Estate Representatives and Agents, Car Sales People, Boat Sales People and Sales Reps from a variety of industries Hampers, Gift Baskets and Gift Hampers at settlement and completion of their deals. Your corporate advertising material can be supplied to us and added to your Hampers, Gift Baskets and Gift Hampers to reinforce your corporate branding and image. We Often Get Asked - What's the Best Flowers to Send Someone in Hospital? The phones at Dial A Hamper & Gift Baskets constantly ring throughout the day, seemingly never to stop. One of the recurring questions we all get asked is what's the best Flowers to send some one in a Perth Hospital? Do we send a Flower Arrangement or a Flower Bouquet? We recommend sending Flowers to friends and colleagues that are in Perth hospitals that are in a vase (whether it be a glass vase or a ceramic vase) or flowers in a box arrangement (a flower arrangement in oasis or other type of floral foam that's contained in its own cardboard box). Bouquets look great but often there are no vases in the Perth Hospitals to put them in in. Dial A Hamper & Gift Baskets have a large range of Flowers and Gift Baskets for delivery to all Perth Hospitals. Due to the number of orders we receive for most of the hospitals, we often visit all Perth Hospitals a couple of times a day. WOW!!!!! What a MASSIVE day for deliveries to Perth Hospitals!!!! We have been inundated with hospital orders for St John of God Hospital Subiaco, St Johns of God Hospital Murdoch, King Edward Memorial Hospital Subiaco, Sir Charles Gairdner Hospital, The Mount Hospital and Hollywood Hospital. What are you all doing to yourselves Perth people???!!!!! It seems half of you are either sick or having babies!!!! A few late in the day orders have come in for Joondalup Health Campus which is great. Julie one of our Drivers (who i might add has worked for St Anne's Florist for over 20 years!!!! Just think how many Kilometres she has driven and how many flowers she has delivered across Perth in that time!) lives in the Northern suburbs so she takes the late Northern suburbs orders and delivers them on her way home late in the day!! If you live in any of Perth's Northern Suburbs, there's a good chance Julie will be knocking on your door with something special. Dial A Hamper & Gift Baskets delivers Flowers, Gift Baskets, Fruit Baskets and Gifts to all Perth Hospitals including including St John of God Subiaco, Princess Margaret Hospital for Children, Sir Charles Gairdner Hospital, Hollywood Hospital, King Edward Memorial Hospital, Royal Perth Hospital, Royal Perth Rehabilitation Hospital Shenton Park, St John of God Murdoch, Fiona Stanley Hospital, Armadale Hospital, Swan Districts Hospital Middle Swan, Glengarry Hospital, Joondalup Hospital, Attadale Private Hospital, Fremantle Hospital, Kaleeya Hospital, Mt Lawley Private Hospital, Osborne Park Hospital, Perth Clinic, The Mount Hospital, Subiaco Private Hospital and Mercy Hospital Mt Lawley. When ordering your Perth Flowers or Perth Gifts for someone in a Perth Hospital, it makes it easier for all if you check that the person is still in hospital. We often find that the person has been discharged when we try and deliver it, we then have to try and track them down and redeliver it for you to their home. Dial A Hamper & Gift Baskets is a wholly Western Australian family owned and operated Hamper, Gift Basket, Gift Hamper and Flower business located in Perth, Western Australia. We are rather unique in that we are a Hamper and Flower Shop whereby all local orders placed with us either on line or by phone are actually completed and filled by our team of in house florists. We are NOT a third party distribution website relay business or call centre type operation whereby your order is taken by an operator (with no actual floral industry training or experience) with your order distributed to various third party florists with a 'management' fee taken. This translates to less flowers being able to be given by the third party florist accepting the order coupled with the fact that you are not dealing directly with the people that are designing and delivering the arrangement. Forming part of the Dial A Hamper & Gift Baskets team are our three full time couriers, who weave our company owned vans throughout the Perth metropolitan area daily ensuring the Flowers, Hampers, Gift Baskets or Gift Hampers ordered arrive in the same great condition they leave our Perth Florist, Hampers Perth and Perth Florist shop. Dial A Hamper & Gift Baskets source daily our floral stock from local high quality producers, though where not possible import items from overseas so as to fulfil the requirements of our customers. Dial A Hamper & Gift Baskets deliver daily over Perth Western Australia, Western Australia country, interstate including capital cities Sydney, Melbourne, Brisbane, Adelaide, Darwin, Hobart and Canberra as well as internationally through the Interflora network. Don't get caught out!! There are many Florists around Perth and throughout the whole of Australia that offer 'Free Delivery' when you order Flowers or Hampers from them. Flower buyers need to be aware that often you are NOT getting a good deal at all! In fact the money that you think is solely going into the value of the flowers, the retailers are taking out a delivery fee from the total amount paid without your knowledge. Or if they are not taking out a charge for delivery they will often use lower quality or less flowers or products to make up for not charging for delivery. Can you imagine ordering Flowers to send to a friend, colleague or loved one from a florist offering 'Free Delivery', you pay $100 for what you think should be a nice arrangement however the florist takes out some $15-$25 to cover their delivery to a suburb of Perth without your knowledge. The result is the recipient only receives flowers worth $75!! A lot smaller than the one you would of been expecting to be delivered!!! The consumer needs to ask the Florists who offers 'Free Delivery' the actual value and size of the arrangement or flower bouquet that will be sent out. As the saying goes 'there's never a free lunch', and in Floristry 'theres never free delivery', the consumer pays for it one way or the other!! Dial A Hamper & Gift Baskets charge a delivery fee depending on the distance from our Perth Flower and Hamper Perth Shop - we are up front with the delivery fees payable so that the amount you pay for your flowers you actually receive!!!. If you order a $100 flower arrangement or Flower bouquet then that is what the recipient will receive, $100 worth of flowers!!! Baby Season Doesnt Seem To Be Ending!!! Our Baby Gift Baskets, Baby Hampers And Baby Gifts Are Running Out The Door!!! Order Online Now!! Baby Season Doesn't Seem To Be Ending!!! Our Baby Gift Baskets, Baby Hampers And Baby Gifts Are Running Out The Door!!! Looking for a Baby Hamper Perth? Baby Gift Delivered? A Baby Gift Idea? New Born Baby Gift? Dial A Hamper & Gift Baskets stock a large range of Baby Gift Baskets, Baby Gifts, Teddy Bears, Soft Toys and a large Range of Flowers that are just perfect to send the New Born Baby and Mum. It's not only nice to send the New Born Bub a present, but also Mum (after all she has done all the hard work!!). We have Pamper Products that are great to send the New Mum, or Gift Baskets with soft cheeses, dips, Champagne that she hasn't been able to eat! New Dad's would also love this ! Dial A Hamper & Gift Baskets delivers to all Perth Maternity Hospitals Daily including St John of God Subiaco, Princess Margaret Hospital for Children, Sir Charles Gairdner Hospital, Hollywood Hospital, King Edward Memorial Hospital, Royal Perth Hospital, Royal Perth Rehabilitation Hospital Shenton Park, St John of God Murdoch, Fiona Stanley Hospital, Armadale Hospital, Swan Districts Hospital Middle Swan, Glengarry Hospital, Joondalup Hospital, Attadale Private Hospital, Fremantle Hospital, Kaleeya Hospital, Mt Lawley Private Hospital, Osborne Park Hospital, Perth Clinic, The Mount Hospital, Subiaco Private Hospital and Mercy Hospital Mt Lawley. 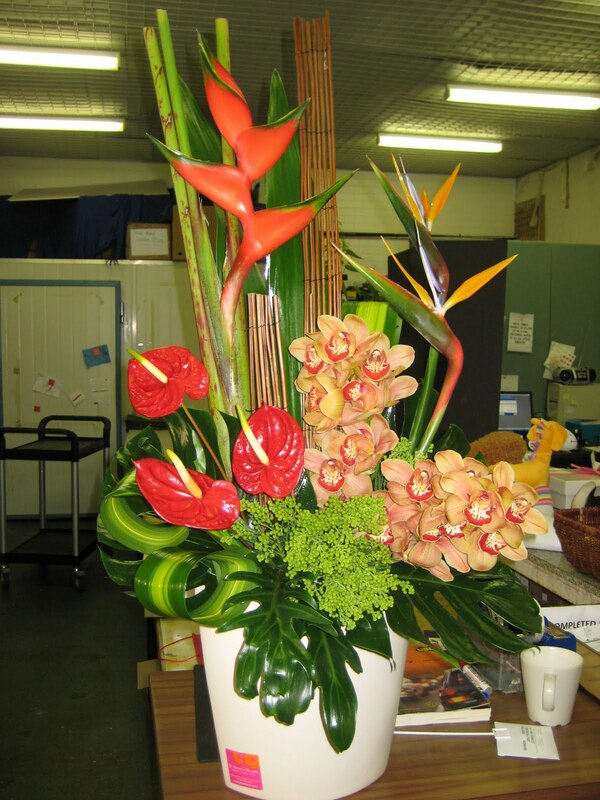 Deliveries to all Perth Hospitals can be made within a couple of hours as these are all very close to our Perth Florist and Perth Flower Shop. We are just back from a big run to our Perth Plants Growers, explored every corner of their greenhouses and glass hot houses and have loaded the truck with a large variety of the best available Plants Perth, Potted Flowering Plants, Phalaenopsis Orchids, Non Flowering Potted Plants and Cymbidium Orchids currently available in Perth. Our various Perth Plant growers take absolute pride in their growing, speaking to them about what's coming out of their hot and green houses you just can't help but be swept up with their enthusiasm and passion for their job. This passion flows through into the Perth Plants they produce and what we are able to provide our customers. Potted Plants are a great present to give anyone, both male or female. The best thing about sending a Potted Plant to someone is that if they are given just a little bit of love and attention, they will keep on flowering and growing! 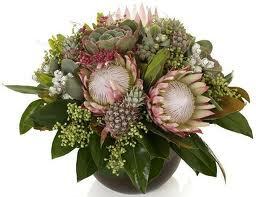 Dial A Hamper & Gift Baskets delivers weekly Corporate Flowers Arrangements to many Businesses across Perth. 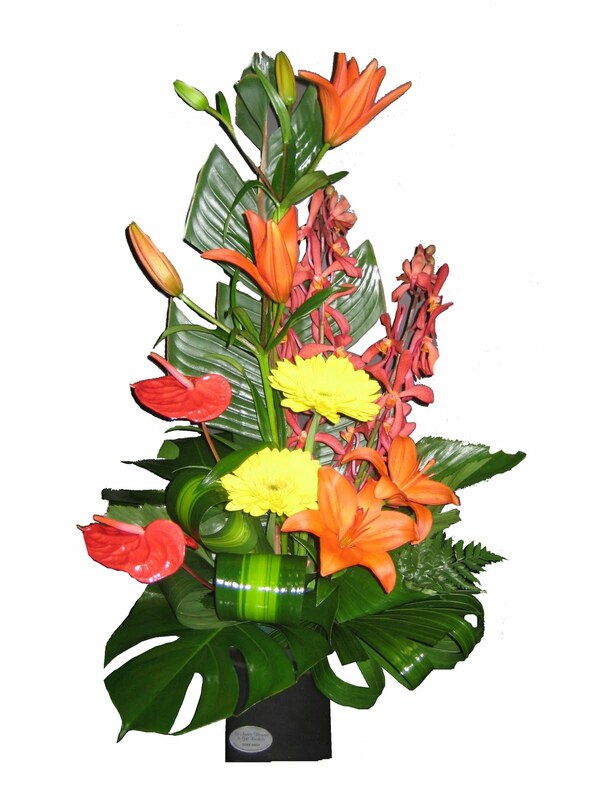 They look great, liven and brighten up a reception area, board room, meeting room or just on a work desk. We also deliver weekly Flowers to a number of Perth restaurants, one of our favourites to deliver to is Il Ciao Ristorante Pizzeria at 771a Canning Highway Applecross. You would be hard to find a better Italian restaurant that combines great Italian food but also great service by Rob and Sar Peruzza and their team. Get down there and see our Flowers Arrangements while you grab a bite to eat!! We do when we deliver to them!! Dial A Hamper & Gift Baskets can cater for any Corporate Flower Arrangement budget, we come once a week and take away the old Flower Arrangement and replace it with a fresh one early in the week.